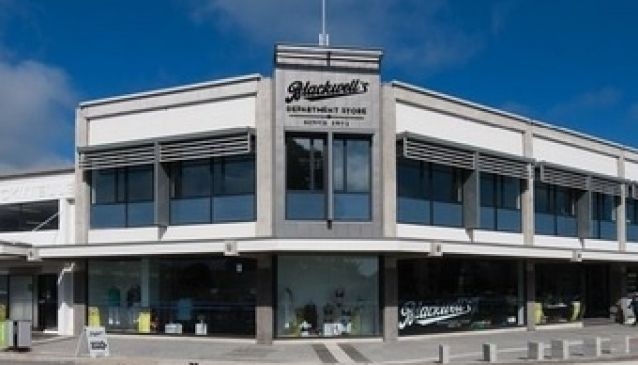 Blackwell's Department Store is situated on the corners of Williams Street and Raven Quay in Kaiapoi. Having suffered extensive damage in the 2011 Christchurch earthquake, the store re-opened and is now open for business again. The new and improved showroom offers shoppers a full range of departments to browse with clothing, shoes, homeware, beds, gifts, fishing & hunting, curtains and carpets available. With a coffee shop on the corner, visitors can enjoy a break after getting all the shopping from one convenient location.